MicroTPW Field Portable Turbidimeter (White Light) - Orlab Instruments Pvt. 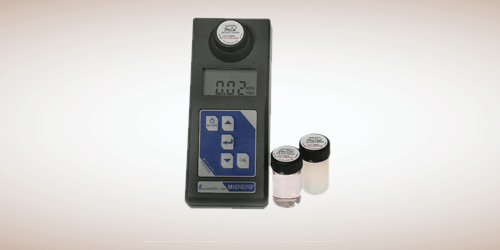 Ltd.
Auto Ranging 0 - 1100 NTU: Instrument senses turbidity level of sample and automatically adjusts to the appropriate measurement range. Rugged Self-Contained Carrying Case: Contains everything needed, including battery pack, manual, and calibration standards. Ensures durability and convenience regardless of where the sample needs to be taken. Waterproof: Water proof housing allows sample measuring and cleaning in any wet environment. Simple Calibration Procedures: Calibration initiated with the push of a button ensures accurate readings.